Two years ago Iain Mervyn Macleod passed away after a tragic accident in Bernera. On Saturday 4th April his daughter Amy is organising a 5k and ceilidh fundraiser through the Motivated by Mervyn charity. Iain was a keen fisherman and spent many years in the fishing industry and therefore Amy is focusing her efforts to support fishermen working within the Western Isles. 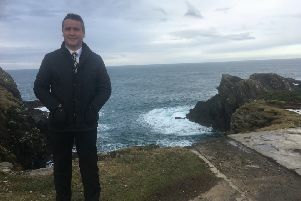 All proceeds from the events will be used to source safety equipment for them and she is taking advice and working alongside the Western Isles Fisherman’s Association. If you haven’t yet entered the 5 km event application forms are still available or just turn up and you can enter on the day. If you want more details you can contact amybernera@yahoo.co.uk. The event takes place at the Castle Grounds on Saturday 4th April starting at noon. All entries welcome.